Liczba stron: 137 Jest to ujednolicona liczba stron, która ułatwi Ci porównanie długości książek. Każda strona Legimi to 200 słów. 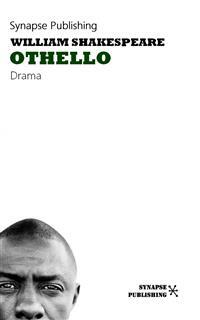 Othello has long been recognised as one of the most powerful of Shakespeare's tragedies. This is an intense and moving drama of love, deception, jealousy and destruction. Desdemona's love for Othello, the Moor, transcends racial prejudice; but the envious Iago conspires to destroy their lives. In its vivid rendering of racism, sexism, contested identities, and the savagery lurking within civilisation, Othello is arguably the most topical and accessible tragedy from Shakespeare's major phase as a dramatist. I know my price, I am worth no worsse a place. I haue already chose my Officer. And what was he? Iago. Why, there's no remedie. Iago. O Sir content you. I follow him, to serue my turne vpon him. For naught but Prouender, & when he's old Casheer'd. Doe well thriue by them. In following him, I follow but my selfe. If he can carry't thus? Iago. Awake: what hoa, Brabantio: Theeues, Theeues. Summons? What is the matter there? Rodo. Signior is all your Familie within? Iago. Are your Doores lock'd? Bra. Why? Wherefore ask you this? Or else the deuill will make a Grand-sire of you. Bra. What, haue you lost your wits? Rod. Most reuerend Signior, do you know my voice? Bra. Not I: what are you? Bra. What tell'st thou me of Robbing? Bra. What prophane wretch art thou? We then haue done you bold, and saucie wrongs. I thus would play and trifle with your Reuerence. Of here, and euery where: straight satisfie your selfe. Beleefe of it oppresses me alreadie. Iag. Farewell: for I must leaue you. And there will I be with him. So farewell. Enter Brabantio, with Seruants and Torches. Past thought:) what said she to you? Get moe Tapers. Raise all my Kindred. Are they married thinke you? Bra. Oh Heauen: how got she out? Oh treason of the blood. Bra. Call vp my Brother: oh would you had had her. Where we may apprehend her, and the Moore? On good Rodorigo, I will deserue your paines. Enter Othello, Iago, Attendants, with Torches. As double as the Dukes: He will diuorce you. For the Seas worth. But looke, what Lights come yond? Othel. Not I: I must be found. Othel. The Seruants of the Dukes? Othello. What is the matter, thinke you? Cassio. Aunciant, what makes he heere? Iago. Marry to- Come Captaine, will you go? Cassio. Here comes another Troope to seeke for you. Enter Brabantio, Rodorigo, with Officers, and Torches. Where hast thou stow'd my Daughter? Of such a thing as thou: to feare, not to delight? Both you of my inclining, and the rest. To answere this your charge? Othe. What if I do obey? Bra. How? The Duke in Counsell? Bond-slaues, and Pagans shall our Statesmen be. Enter Duke, Senators, and Officers. Saylor within. What hoa, what hoa, what hoa. Duke. Now? What's the businesse? Officer. Here is more Newes. 1.Sen. I, so I thought: how many, as you guesse? Marcus Luccicos is not he in Towne? 1.Sen. Here comes Brabantio, and the Valiant Moore. Enter Brabantio, Othello, Cassio, Iago, Rodorigo, and Officers. Against the generall Enemy Ottoman. Bra. So did I yours: Good your Grace pardon me.